About two years after the introduction of the original Pico amp (with or without DAC), Justin introduced his latest creation, the Pico Slim. The new Pico Slim is primarily designed to drive IEMs (in ear monitors) ~ It’s not designed to cater larger portable amp market. It’s small and slim form factor is meant to attract those who want to carry a portable amp that doesn’t consume too much space. There are many portable amps in the market but none of them has the design prowesses or the form factor of the Pico Slim. 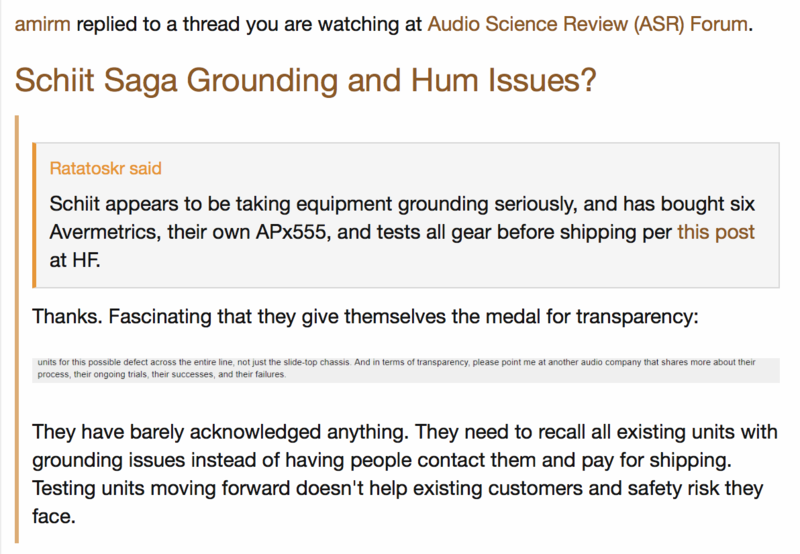 HeadAmp has been building their reputation based on their extreme attention to details and superior designs. Justin Wilson, the man who is running HeadAmp all by himself is one of the most respected headphone amp designer in the industry. HeadAmp is a one man shop. So, please bear with him if he has not replied your emails or phone calls. I’m using the Pico Slim almost everyday. It’s small, err… it’s tiny…! It doesn’t add much foot print to my already large iPod 5.5G. There are portable amps that add their own sound signatures. It’s not necessarily a bad thing, I just prefer a more transparent amp. Unfortunately, most portable amps do have their own sound signature. Pico Slim is no exception. 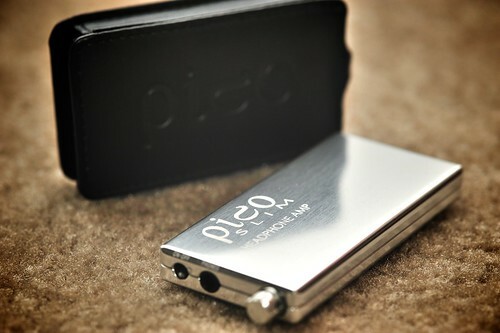 Given how bad the iPod is and channel imbalance issue in most amps, Pico Slim is a revelation. It is silent (silent in HeadAmp term means completely silent at any reasonable listening level; I can’t detect any audible noise at normal listening levels), more transparent than most portable amps and tiny. I ended up not liking my iPod 5.5G, it sounds congested if compared with the highly regarded AMB Gamma 2. This is a bit disappointing because the reason why I bought the Slim is to pair it with my iPod, now it’s also serving its’ duty as a transportable computer rig. In my experience, a separate DAC is always better than an iPod. Apart from being tiny, it’s a cute amp. Although it has 255 steps attenuation, I find half of the volume range useless. I find myself always go pass 12 o’clock to get reasonable listening volume level. Finding the sweet spot is quite troublesome as well, I wish Justin could have made it to have fine volume adjustment throughout its’ volume pot. BTW, the sweet spot is somewhere around 1 o’clock. Oh and, the volume knob itself isn’t as sturdy as the original Pico. It feels quite fragile. Other than the volume control and the volume knob, I don’t have anything else to complain. For those who care about the chassis work, it is simply the most gorgeous portable amp that I have seen. Justin has always amazed me with his work. This one is no exception, the chassis was milled from a single piece of aluminum, CNC cut, and laser engraved. Even the tiny volume knob is a solid aluminum. If you are looking for a portable amp to drive your IEMs, this is it, the near-perfect portable amp. I have not announced a price yet, but I have said it will be in line with my other portable amps – despite the much higher cost of parts of the Pico Slim, and time spent designing it. I would say it sounds a little warmer than the original Pico, but I am focusing on the experience of using this amp with IEMs and other sensitive headphones. The battery pack will cut off automatically when the voltage gets too low, so I wouldn’t worry about that. I really don’t think there’s much you can do to increase the life of the battery, so don’t worry about how you use it and charge it. They are rated for 500 cycles, which means the battery is expected to be at 70% of its original capacity after that usage. At 8 hours use per day, that would be 12 years. So that rating is only useful for devices like cell phones that might only have 2 hours of talk time, because batteries like this only last about 3 years whether you use them or not. All the MacBooks and iPhones have internal batteries and they are far more taxing on the batteries, and you can’t replace any of them easily. Hasn’t hurt their sales, so they don’t care. At least I’m honest about this and I’ve made it extremely easy for the battery to be changed. Remove 4 phillips screws, unplug battery, plug in new battery, put screws back in. That’s it. I guarantee to offer new batteries for at least 10 years, and beyond that there are hundreds of other battery cells that can fit. By that time the latest technology will probably get several hundred hours of life in a Pico Slim. Noise level will be higher than the regular Pico. All digital volume controls add noise. But it’s insignificant and well worth the advantages. With ES3X, my most sensitive IEM, I can’t hear anything until it’s past the level I would ever want to listen at. You are talking about the direction of the polishing. You’d have to polish forever to remove everything. The owner of the company that does this work has said I am the most demanding customer he has ever had, and that’s probably true. Many of the metal finishes on mass market electronics are created with processes that are illegal in the United States and most western countries as they are known to cause cancer or are very bad for the environment but they’re OK in China. This makes things more difficult. Accept that these are hand polished and may have small imperfections that would not be found with an aggressive chemical process. The coupling caps are Niobium Oxide and PPS film. It appears that the Pico Slim will be the only USB-charging headphone amp on the market that follows the rules for USB charging. A USB device must request permission from its host before charging. Charging can be done at up to 100mA or 500mA, or be denied any current such as when the computer is asleep. Most USB devices simply try to charge at 500mA at all times by “stealing” power from the USB port without permission. This is the cheap and easy way to do it. There are risks and problems with this. Risk of damaging a low power (100mA) USB port, or charging won’t work at all because the computer will shut down the USB port. While most new computers and full-size laptops only have high power (500mA) ports, low power ports are increasingly common in portable devices like netbooks, UMPCs, and PDAs that will have the ability to charge another device in this case a headphone amp. The Pico Slim will find out if the USB port is a low power (100mA) or high power (500mA), and then charge appropriately. This means it will be compatible with all USB ports and all devices that can act as a USB host. Find out if your USB charging amp does this, if not, you are risking damage to a computer/other host device, or you won’t be able to charge at all. Clipping ~ Was looking at some specs last night and realized another area where the digital volume control in the Pico Slim does extremely well. It has the ability to accept audio inputs that are far larger voltage than the voltage that powers the digital volume control (in the case of a li-ion/li-poly battery, usually 3 to 4V). With most other digital volume controls, audio inputs at higher voltages than the battery voltage will be clipped. Does your source output more than 3-4 volts / 1-1.4Vrms? 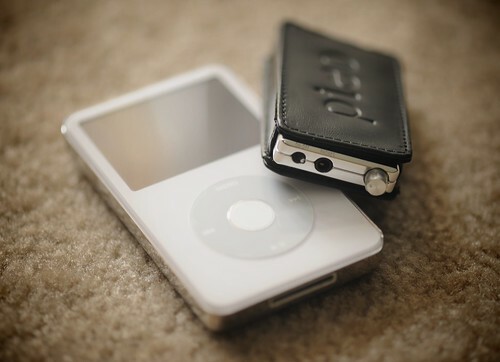 If you are using an iPod or other portable DAP, you should be OK — most of the time. If you use a home CD player or DAC, chances are you will be in the clipping range. Many USB DACs will also output above this level. 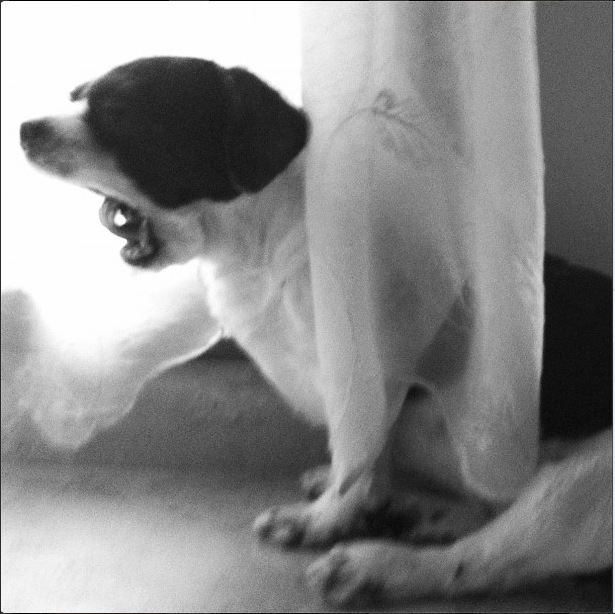 Clipping will become a significant issue especially with recent CD pressings being made with almost no headroom. The Pico Slim can accept an input signal far greater than necessary from any kind of source. the whole point of the digital volume control was because regular analog pots had poor left/right matching at low volumes, and they were also limited in how quiet they could go. so with many IEMs, you could be at a listening level even with the volume knob all the way down. turn it up slightly and it could be very loud, and still have left/right imbalance. this way you have far more range. about every 1 degree of rotation is a 0.5dB change. sure you may find that leaves a 20 degree range with a particular headphone/source setup, but its going to be compatible with all combinations you throw at it, and you’re going to be able to hit every 0.5dB adjustment with slight turns of the knob. the alternative would have been to have an infinitely rotating knob, which would have required resetting the volume to 0 at power off, and there was no room for any kind of display to indicate volume level. I wanted to duplicate the experience of the analog pot, just with much more attenuation and way better channel matching. THIS FEATURE HAS BEEN CANCELLED ~ Here are some ideas. These are all things that could be added later. Right now, the priority is just getting the Pico Slim finished. – Left/right balance adjustment. 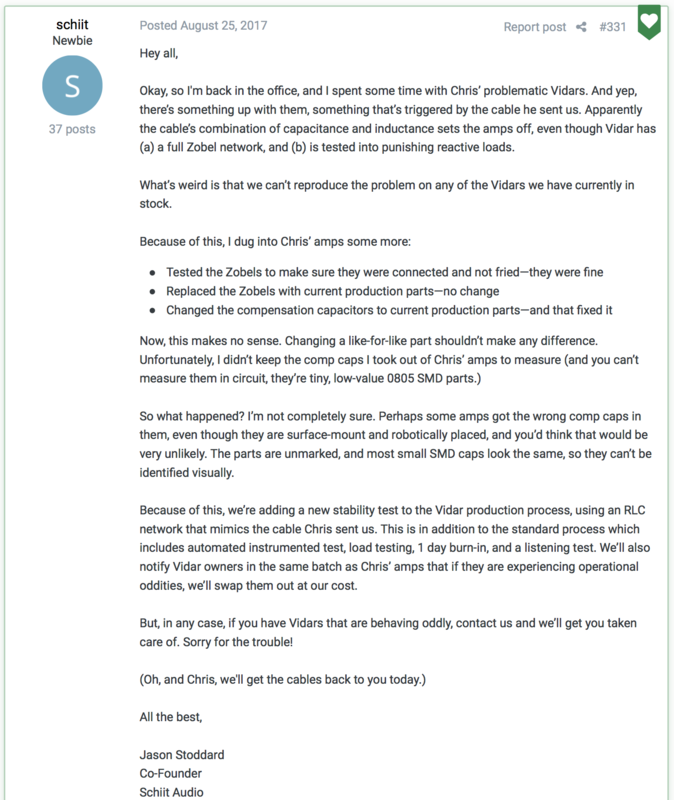 I have seen several people ask about this recently. It could be adjusted through the USB port. – Change the volume control. You probably don’t want to do this, since the Pico Slim already has 255 steps, 0.5dB between each one, and 110dB attenuation and nothing comes close to that kind of precision adjustment. But if you wanted to, you could change it so it only has 23 steps, and set it up so that it emulates a DACT Stepped Attenuator exactly. Or maybe you find even though the Pico Slim has so much adjustment, you still only ever use the area between 10-12 o’clock. Well you could customize it so that 10-12 o’clock becomes the entire 300 degree rotation of the volume control. – Scare your friends by making the volume go full blast 1 minute after power on. Not recommended. – Count the number of times the battery has been charged.